I started The One Plus One by Jojo Moyes during the weekend because I needed a light read, but I wasn’t really overwhelmed by it… So I decided to finish Six Of Crows first before continuing with this one. At least it’s a fast read so I will probably finish it soon. I still haven’t picked up Outlander by Diana Gabaldon again; not because I’m not enjoying it, but there are a few other books I want to finish first before fully commiting to this giant. * The first is The Valentine Circle by Reinaldo DelValle. I got this one as a kindle freebie a few months back and it turned out to be an interesting, although not great read. * I then picked up my copy of Carry On by Rainbow Rowell as pain medication, and it worked perfectly. I absolutely loved this read and I have the feeling it will end up on my 2015 favorites list. * I decided to continue with Six Of Crows by Leigh Bardugo afterwards. The tricky names make it hard to follow the story in the beginning, but as always Leigh Bardugo doesn’t disappoint. Her prose is simply brilliant! I have a new ARC lined up to be read: Melophobia by James Morris. I’m also probably going to ignore my November TBR and read Simon Vs. The Homo Sapiens Agenda by Becky Albertalli; I have been wanting to get a copy for ages and I can’t wait to finally read it. George by Alex Gino is high on my list as well, especially since it has been nominated for the Goodreads Choice Awards… And my next TBR jar pick is still Where’d You Go, Bernadette by Maria Semple. This entry was posted in Book Memes, WWW Wednesdays and tagged alex gino, becky albertalli, book memes, george, james morris, maria semple, melophobia, simon vs. the homo sapiens agenda, where'd you go bernadette, www wednesdays by Yvo. Bookmark the permalink. I really like the sound of the Mindy Kaling book, I don’t watch her shows either but her books always seem like something I’d enjoy. I think I’m going to add this book to my list. I have Simon Versus the Homo Sapiens Agenda on my TBR and can’t wait to get to it, it sounds like a great read. I hope you enjoy the books you read this week. Her writing is quite funny and very easy to read; I really enjoyed reading Why Not Me? even when I don’t really know a lot about her. Simon Vs. The Homo Sapiens Agenda sounds like such a great read! Hopefully I will be able to read it this weekend. You’ve just finished three books I want to read! I’m glad to hear you enjoyed them all. And while I didn’t love the Grisha Trilogy, I did find Bardugo’s writing to be brilliant and I’m really looking forward to Six of Crows. Pretty epic week of books there. I’m glad to see you loved Carry On so much – I need to read it! And I’ve been considering the Kaling book. Enjoy your books this week! I agree that last week was pretty good; two new books for my favorites list! 😀 Why Not Me? is an entertaining enough read for sure as well. Carry On was such a fun read! I absolutely loved it! It looks like you had a pretty good reading week! Here’s my post for this week. Happy reading! I totally agree! I was having Harry Potter flashbacks when I was reading it; not just because of the magic but also because I was enjoying Carry On just as much as the first time I read the HP series. 😀 Happy reading! It’s definitely one of my favorite reads this year and my new favorite Rowell book. I have The One Plus One on my TBR too so I hope you can continue and it picks up for you! 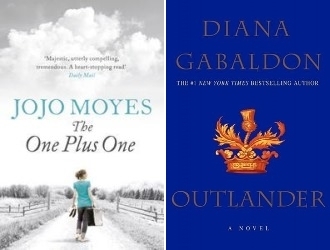 I’m not really into the genre, so that might explain why it’s taking me some time to get into the story… Although I’ve heard of people who’ve read various Jojo Moyes books that this one is not her best. Fingers crossed it gets better though! Ahh..well good for you for trying something out of your comfort zone, even if it hasn’t worked out that well! I loved Carry On, Six of Crows and Simon vs the Homo Sapiens Agenda all so much!! 😍 Glad to hear you enjoyed the first two—and I can’t wait to hear what you think of the last! 😉 Happy reading! I’m glad ‘Carry On’ and ‘Why Not Me?’ were good reads. I have ‘Carry On’ on my TBR and I have Kaling’s other book on my shelf. I can’t wait to read both. Happy reading and thanks for participating in WWW Wednesday! Carry On is definitely worth reading; it’s my new Rowell favorite. And I have Kaling’s other book on my wishlist as well. I will probably try to get a copy soon, since I really enjoyed her writing style. Happy reading and thanks for hosting! I heard about “George” recently from another blogging friend, and I love the sound of it. I’ll be interested to hear what you think! It’s a very interesting read with a strong message… Definitely something every 12-year-old should read at some point.